Discussion in 'West Mall' started by ProdigalHorn, Feb 16, 2018. OK, so had a day or so to digest what happened in Florida, and my suspicion is that since there's no thread on this, it's probably because we're all sick of the same argument that essentially accomplishes nothing. So in thinking about some of the things I've heard, I've been trying to think about any actual "solutions" - or at least actions that could be taken which might be of some benefit. The first thing that's really been driven home for me is that the phrase "gun control" in itself has become a meaningless cliche. You're either for "common sense gun control measures" or you're not. I haven't heard a lot of people in the past two days articulating what exactly those common sense measures are, other than background checks, closing gun show "loophole," and the ubiquitous "assault rifle ban. All of these have been pretty well hashed to death and for one reason or another some people consider them "common sense" and some people consider them empty or sometimes redundant gestures. So what are we left with? Gun confiscation wouldn't work even if it were constitutional. It would rely on voluntary action, which obviously means that the dangerous actors are still going to have guns and will probably be able to access guns. We can talk about mental health and family stability, but that's not going to get fixed next week, or even next year - assuming this society would ever do what is required to fix those things. So do we simply accept our reality that there are dangerous people with access to weapons, and that schools are easy targets? Do we acknowledge that the profile for these issues continues to be the same time after time, and in many cases the acts have been committed by young men who were by all accounts ticking time bombs with emotional and mental issues? Arming teachers: I don't think this makes sense. I get the idea, but they're in school to teach and should be able to focus on that. Combat training shouldn't be a part of teacher requirements, and if it's not, then I don't want them carrying weapons anyway. In addition, the security of having a gun would require the teacher to carry it at all times, which means teachers with gun holsters. No one's going to be OK with that, but the alternative of having a firearm in the desk or in a purse or a closet is simply not acceptable. Armed security: To me this is becoming a no-brainer. At some point we have to stop treating kids like snowflakes. They all know what's happening in schools. They all understand the concept of school shootings. The presence of four or five armed officers on campus isn't going to be any more traumatic than reading about these things happening at other schools every three or four months - God forbid witnessing it first hand. Federal task force: No one has been talking about this seriously but I think it's time. The FBI response in this past case made it very clear that there's no urgency or understanding of what to do with "early warning" threats about potential shooters. This kid had police coming to his house at the request of his mother to "try and talk sense into him." He was posting inflammatory messages on Facebook. He posted a comment on YouTube about being a professional shooter, which was reported to the FBI, and at this point nothing appears to have been done about any of this. I suspect it's because there's no protocol, and no willingness to either remove someone from society or at least heavily monitor that person when they show themselves to be a likely threat. I think it's worth discussing to have either state level or federal level agents whose responsibility it is to monitor, track and engage in potential shooter situations. I get that there are a LOT of civil liberties issues that need to be addressed in order to make that work, but at the same time, we have to start looking at this in terms of getting kids help who really need it. Anyway, curious to hear people's thoughts. Letting God back in the schools would be a start. Cliche. What are you specifically wanting to do? That article is a flat-out lie, though it's been widely reported. This does not "make it easier for people with mental illness to get guns." The part of the law in question had basically said that if you're on Social Security and you have someone else authorized to manage your finances, that information has to be shared and used to bar you from purchasing or owning a firearm. It's a ridiculous and unconstitutional argument that targets seniors and argues that they are mentally ill because they're not managing their money anymore. It's insulting and completely irrelevant to the question of mass shootings. So if the Trumptards are so proud of the reversal, why not make the signing picture available?? Can't speak for them, don't know why, don't particularly care. Maybe because they knew people like you would post it and say "look, Trump's so proud that he's letting mentally ill people buy guns!" What does that have to do with the facts of the law? Here's an idea, if you want to talk about being "brave." This thread was supposed to be about finding actual workable solutions. You don't seem particularly interested in that, but if you actually want to contribute an actual, specific idea, feel free. Does anybody really think a compulsory morning prayer coming over the loudspeaker is going to change the heart of a homicidal sociopath? Texas schools do have a minute of silence and kids are encouraged to pray and/or mediate. Dallas Mayor Mike Rawlings has suggested the President Trump form a Blue Ribbon Commission to look into the shootings and see what can be done to thwart them. For all of the intellectual capability we posters bring to Hornfans, I don't think we'll be able to hash out a winning plan over the next couple of days. I congratulate Prodigal on his starting point solutions. I'm certainly not against teachers with demonstrated weapons expertise having accessible weapons on campus -- perhaps even getting a bonus and training/ammo allowance. I think given its sacred cow status to the politically powerful gun lobby, any solution will have to work around the fact that 95 percent of us can acquire vast killing capability about as easily as we can get a laptop computer. What is the main thing all these shootings have in common? They were done with an AK-15. How about outlawing these specific guns? There's an idea. What is your workable solution? You want to end mass shooting in our schools? Here is the solution. When students enter the building each morning, each student is handed a loaded pistol to carry on their person throuout the school day. Upon exiting the building at the conclusion of the school day, the student returns the pistol. Problem solved. What is the main thing all these shootings have in common? They were done with an AK-15. Umm.... no, that's not the MAIN thing they had in common. But it is the easiest one to deal with (in theory), and certainly the easiest to rail against. As Crockett pointed out, also the least effective. Think this through. Let's say we go ahead and ban that rifle. What exactly would that stop? New purchases? There are already hundreds of thousands of them out there. Are you going to confiscate them? How do you think that will go? And will you then make it illegal for anyone to privately sell a firearm? That's not going to go over well at all, and is basically impossible to police. But hey, when the next shooting happens, you can pat yourself on the back and congratulate yourself for caring more than other people, because you actually "did" something. What is your workable solution? I have not a single clue! Been racking my brains for ideas, and I just draw a blank. 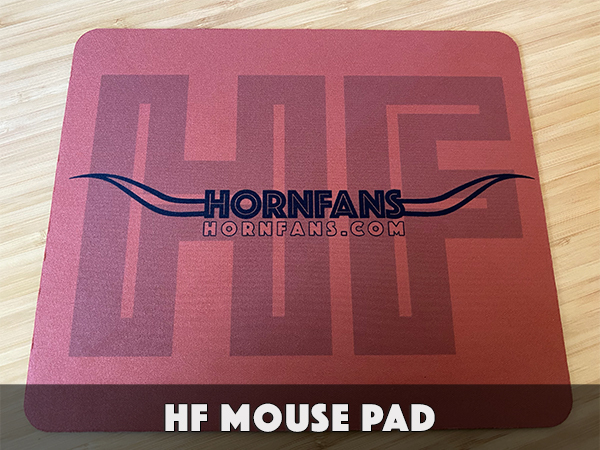 But when I do think of some things, I'll be sure to post a thread on HornFans, lay out a couple of ideas and ask people for their thoughts and added insights. Decades ago we didn't have any gun control such as background checks and full automatic weapons were easily accessible and we didn't have this problem. What the hell happened? There's a lot of things that AREN'T happening anymore. The problem is that our society is in a place where it's not going back to a time of stable families, fathers and mothers teaching (REALLY teaching, as in teaching by living it out in their lives) their kids to value life and to protect people who can't protect themselves, and yes, to fear God and love their neighbors. We have more than we've ever had but we're unhappier than we've ever been as a society. And we're more and more prone to fix it with drugs, meds, and losing ourselves in online communities and gaming. In other words, a loner kid has a much easier time now to completely separate from reality. If we REALLY want to stir something up, let's have that "blue ribbon committee" (hehe... I always think of the Simpsons. "BLUE RIBBON committee?!!?? Wow... can't get better than that!) look into the impact of pharmaceuticals and depression treatment on these shootings. This is what's so frustrating to me about this, and I get that it sounds like "if only the other side would just get it!" But we can talk for days and days about removing guns from society, but that's like talking about removing trucks from society. It's really easy to say it in principle, but is it even workable? The "anything can be done if we want to badly enough" crowd needs to start acting like grownups and accept that there are some realities - at least in the short term - that are not going to change, and we need to deal with that accordingly. I read a twitter post about someone talking about needing to arm guards and put up metal detectors and such, and the response was "that sounds like prison." We're so concerned with the optics of things that we're unwilling to do some things that would be relatively easy to implement and would absolutely be helpful. Also, schools weren't gun-free zones either. The problem I have with "common sense gun control" is that it usually includes having law-abiding citizens unarmed and helpless. The other problem is with the gun black market as large as it is how will gun control work? It's just too easy to get illegal weapons. We have total prohibition against many drugs as well and people have little problem getting them. As a husband of as teacher, bringing a gun into a classroom might protect against mass shootings but the increase in incidental shootings would more than offset the loss of life from the former. This school had armed law enforcement on site at the moment of the shooting yet they never engaged the shooter. Why? With a semi-automatic assault rifle and high capacity magazines it takes seconds to mow down a crowd. Teachers know who the at risk kids are. Parents of said kids either are blind to the risk, unwilling to do what's necessary or don't care. Schools are powerless in this relationship. What can they do? Report the risk? Despite the police visiting this kid 35 times he still was allowed to walk in and puchase an AR-15. It was all legal. How crazy is that? You can't stop crazy from being crazy. We'd never succomb to the limits on freedoms that would require. All you can do is limit the impact. More police in schools? Great but that takes even more resources from an already limited pool. That still wouldn't stop a shooter from walking into a portable classroom and wasting 30 kids. Mental health funding? That's part of it. Counselors in HS are more focused on getting kids to college than behavioral correction. Access to guns? Evidently the 2nd Amendment was a death pact easter egg so that's off the table. Eliminating High capacity magazines should be a common sense solution but evidently 30 round capacity is a 2nd Amnd. right too. Background checks that are deep enough to detect that the police have spoken to you 35 times might help. Of course, this requires national databases automated processes which the NRA has stonewalled at every chance. Nope, the only solution appears to go post-apocalyptic and arm everyone. 6yr olds will need to have guns to protect themselves on the way to school. Don't **** with the irritated math teacher or you may eat some lead. This our only solution per the gun lobby....errr NRA. Decades ago we didn't have any gun control such as background checks and full automatic weapons were easily accessible and we didn't have this problem. I'm pretty sure there have always been regs on acquisition of full automatic weapons, but hey, I've only been alive since 1959. Also, you may find it instructive to look over the per capita homicide rates. While we witness more shootings and grieving on TV, lots more people were shot and killed during the 70s and 80s. I haven't checked Wiki, but if memory serves the media bogeyman back then was the cheap handgun with the nickname "Saturday Night Special"
Family values is certainly a key element. The volume of guns in society has increased dramatically as the rate of homes with a firearm decreases. 1 in 3 home had a gun in 2016. That means those homes with a gun have a much higher saturation of them. Guns, especially the highest selling versions on the market (Ar-15 variants) are much more easily accessible than ever before. It's like having a continual supply of gasoline poured asround your house. In the eventual moment that a spark occurs, the fire will be tremendous. Despite the police visiting this kid 35 times he still was allowed to walk in and puchase an AR-15. It was all legal. How crazy is that? This is an area that IMO needs to be addressed. I get that the FBI gets massive numbers of tips every year, which is why I think more and more that the specific task force makes sense. And there has to be some means of tracking law enforcement visits. In terms of the national database, the only one I've seen the NRA object to is the database of gun owners, and with good reason. But the NRA doesn't have anything to do with a database that tracks law enforcement interactions and cross-references that with behavioral issues or other red flags. Number of officers? Lack of clear strategy beyond "stand around and watch the door?" I don't know the answer to that, but clearly if you have multiple buildings and spread out students, you're going to need more people. But it's not just the number, it's the presence of prominent armed security. One of the security guards was the football coach, so it's not like these guys were being watched by trained professionals, and I doubt the high school football coach instilled a whole lot of fear into a kid determined to shoot up the school. I get that it's easy to bash the NRA, but bear something in mind. They are an advocacy group, just like any other one. Their ONLY job is to ensure that gun rights are upheld, and they're not in it to give ground on areas that they believe will result in second amendment violations. Just like the AFL-CIO isn't in the business of making life easier and more profitable for businesses. There isn't a lobbying group out there that's not pushing for the absolute most they can get on everything. They're not evil incarnate, and they're not to blame for a society that raises kids who think it's fun to go blow people away with high powered rifles. As I said in the OP, I agree that arming teachers causes a lot more issues than it solves. And I'm not sure it solves that many. I think that is a place to start. The fact that tracing the history of gun ownership is done only on paper is bizarre in 2018. In New Orleans, open carry is legal, but the city fines owners whose guns were "lost" or "stolen" that have not been reported. The ordinance target is not so much victims of theft, but rather straw buyers. But as you can imagine, the NRA isn't happy about it. Muder rates are down but mass shootings are way up. When someone does go crazy, it's easier than ever to take out 10, 20, or 30 bystanders on their way to the other side. they're not to blame for a society that raises kids who think it's fun to go blow people away with high powered rifles. Blaming "society" is taking it to far. These mass killings are the work of a handful of homicidal sociopaths. Doesn't matter how well you teach if your pupil has no conscience. Per the NRA, they oppose expansion of any background check systems. It says so in the very first bullet point. They are particularly effective at making them ineffective through legislation lobbying. I don't say this lightly. Their wholesome recreational gun enthusiast roots were abandoned in the mid-70's. At that time they were taken over by more extremist incendiary leadership whom not only successfully fought for a reinterpretation of the second amendment but also became closely alone with the gun manufacturing industry. They may not be evil but they have evil characteristics.